A tattoo is often more than skin deep. 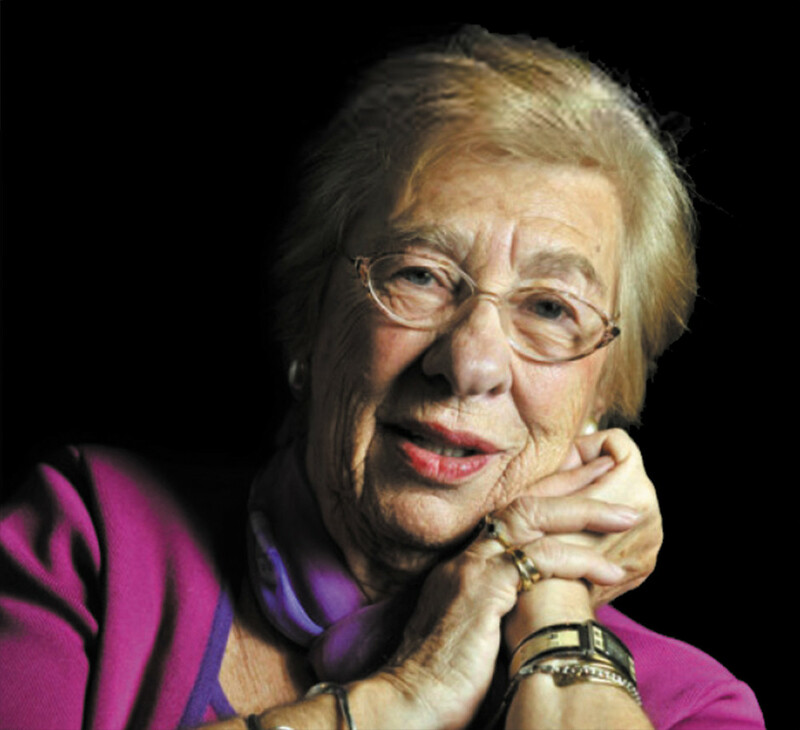 A-5272, a number forever inked upon Eva Schloss’s forearm, serves as a stark reminder of that. Silent for years, Schloss now travels the world sharing her experiences of the Holocaust. Born in Vienna in 1929, Schloss was a happy, outdoorsy girl who loved to go mountain climbing and skiing with her father. That life was soon interrupted when, at age 9, the Nazis invaded Austria, forcing her, her brother Heinz, and her parents to temporarily move to Belgium. In Amsterdam, Schloss lived across from famed World War II diarist, Anne Frank. She and Frank swiftly became friends and sometimes skipped and played hopscotch together. For the next two years, the two visited one another playing in the square in their Amsterdam neighborhood, Merwedeplein, until one day their families received a call. “After two years, when my brother was called up to be deported — it was exactly the same time when Anne’s older sister, Margot, got this call up notice and they went into hiding,” she said. Concealed by members of the Dutch Resistance, both families were forced to hide from the SS. Separated from her father and brother, Schloss, an active teenager at the time, and her mother moved from spare room to spare room for two years, living in a daily prison of silence until their confidants returned to their residences. On Schloss’s 15th birthday, the women were taken by their confidant, a Dutch nurse acting as a double agent, to a Nazi trap, where they were interrogated and deported. Within three days of their capture, the pair were reunited with their family, and forced to board a train and travel to an unknown destination. Destined for the Auschwitz-Birkenau concentration camp, upon arrival, the family, and other deportees, were separated according to age and gender. Many of the elderly and children were immediately selected to be gassed. Dressed in a longer coat, Schloss appeared to be older than she was and was passed over for selection — a harrowing occurrence she would be forced to endure several times during the following nine months of her life. The life which followed was one no one was meant to survive. On a daily basis, Schloss and the other prisoners were exposed to the depravity of the inhumane conditions the SS forced upon them. Every morning, prisoners were forced to rise early, perform laborious tasks in extreme environments, were given little to no food, and were exposed to illnesses and medical concerns such as lice, typhus, and bedbugs. Through a series of small, unusual events, Schloss was continually passed over for selection. While separated, she saw her father on occasion, but would never see her brother again. In the middle of winter in 1945, SS officers began to empty the camp, sending more than 60,000 prisoners out on death marches to the village of Wodzislaw, before fleeing the site themselves. Alone in the camp, Schloss, her mother and approximately 7,000 prisoners stayed behind, and for 10 days they waited. The soldiers provided the prisoners with food, such as greasy cabbage soup, and medicine, but while liberated, many of the weakened prisoners succumbed to starvation, malnutrition and disease on their journey home. During the camp’s history, Schloss, among an estimated 1.3 million Jews, passed through Auschwitz’ gates, but less than 200,000 survived. “When I look back, I’m amazed that any human being could survive that,” she said. Following liberation and the end of the war, Schloss and her mother returned to their home in Amsterdam, where, slowly, life began to move on. Over the coming years, her mother reconnected with their neighbor, Anne’s father, the widower Otto Frank, whom she later married. But for Schloss, life after the war was difficult. Full of hatred, she suppressed her experiences, never sharing them until a moment in 1986, when the tale flowed out like water. Twenty eight years later, Schloss is still telling her story, and uses her experiences to educate people about the dangers of prejudices and the beauty of life. Schloss lives in London with her husband, Zvi Schloss. The couple has three daughters: Caroline, Sylvia and Jacqueline and five grandchildren. Schloss will visit the Arvada Center to present her survival story and experiences on Friday, Aug. 22.